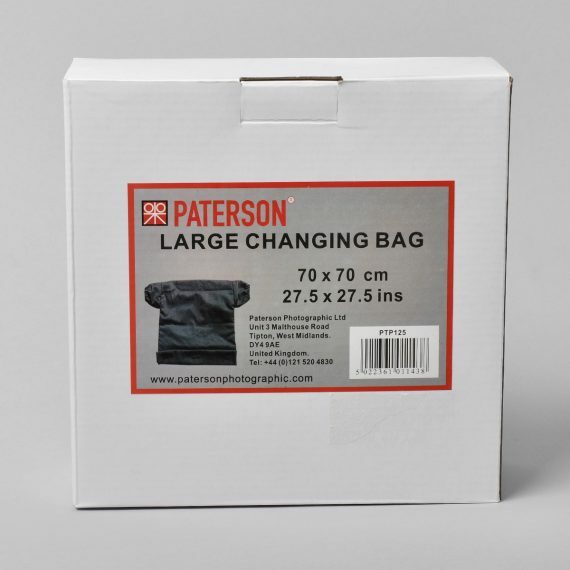 Paterson Changing Bag | Beau Photo Supplies Inc.
Large light tight changing bag for safely working with light sensitive film or paper. Has a fail-safe double skin with a double zip closure and inner lining that is specially designed to avoid perspiration in prolonged use. Double zip closure, elasticized arm apertures, comfortable lining, size 70 x 70cm.